Spacious Bright Large 2Bedroom apartment suite for rent. Burnaby St & on Cardero St. West End Vancouver. Take a walk or bike around the Stanley Park seawall or enjoy shopping and dining out on Davie and Denman street. Close to transit, school, London Drugs, and Safeway. 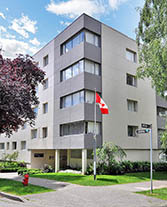 Walking distance from Stanley Park, English Bay, Mall, Bank, and Shops. Clean & secured building. No pets. No smoking. View by appointment. Please call manager at 604.229.2463 for suite availability or to view.